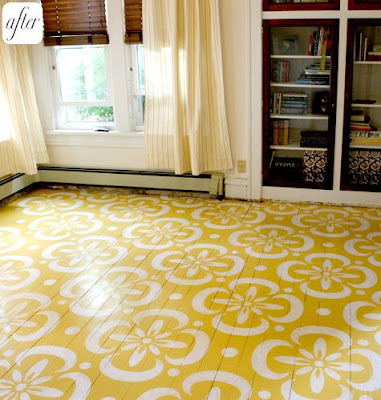 from design*sponge, look at these great yellow floors! AHHH! I love 'em so much. i may have a floor painting job pretty soon here..exciting! check out this AWESOOOMME kitchen. 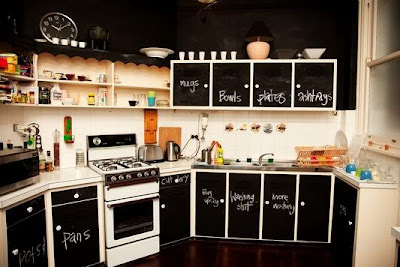 i love the black cabinets with chalkboard paint! love it. new plan: chalkboard cabinets. 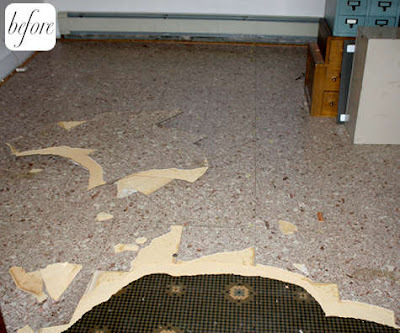 you just use a paint made for high-traffic areas, and make sure you sand a LOT before you do it, then seal it off heavily.